I grew up in Skopje, Macedonia on the fourth floor of an apartment tower. From the balcony you could see a big field where wheat was planted. In May/June the field will be covered in poppies. Beautiful red poppies, a million of them. When it was windy the poppies will dance in waves, back and forth. I loved to watch the red waves on windy days. 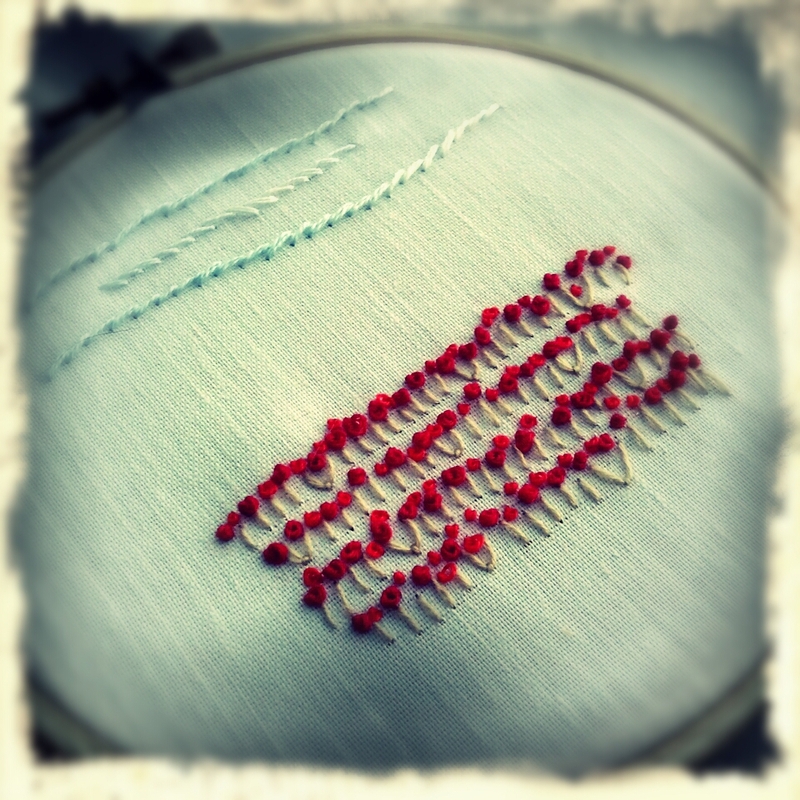 So as I’ve been learning to hand embroider trying to depict the red poppy field was a good idea. And this is what came out of my embroidery practice. Very pretty! I always think of poppies in May!